BMW: procedural information on the installation of fuel system low pressure sensor and not correctly installed will lead to failure of low pressure sensor and metal supply line. model 2008-14. BMW: on certain vehicles, engine timing chain should be checked for early stages of wear, and a repair solution should be provided. updated 9/25/15. updated 10/6/15. BMW: on some vehicles, the high pressure fuel injector, can lead to an internal failure due to incorrect operation and would need to be repaired and/or replaced. models f01, 02, 04, 07, 10, 12, 13, e70, 71. no model years listed. BMW: due to damaged seal ring, during assembly, engine oil is leaking from engine oil pump volume control valve gasket seal ring. models e70, e71, f01, f02, f04, f07, f10, f12, f13. no model years listed. BMW: while driving vehicle, at times would be rough running; white or blue smoke seen exiting exhaust system and the engine oil is consumed above specifications. updated 1/11/13. BMW: see document search button for owner letter. on certain model year 2008-2011 vehicles, a defect involving the electric auxiliary water pump can over heat or fail to cool engine and fire may occur in vehicle or engine compartment. 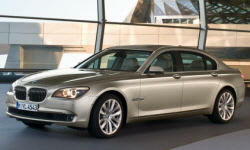 BMW: when driving off or during a load reversal, a clicking noise is heard from the rear axle. BMW: a noise is heard from the engine while running. the alternator drive belt tensioner is loose and/or shows wear. BMW vehicles: edk throttle potentiometer faults-diagnosis. models e60, e63, e64, e65, e66, and e70. the service engine soon and dsc/dtc warning lamps are illuminated. the engine enters the power reduction (fail safe) mode. BMW: high battery discharge warning: battery needs replacement. the "high battery discharge warning" will illuminate on the central information display (cid). updated 05/13/2013 *js updated 11/1/13. BMW: after a few miles or several thousand miles, check control message, hybrid malfunction, may appear after programming of software for vehicle. BMW: damage to the high voltage battery could occur because there is a needed software update. updated 5/1/2012. BMW: check control message displayed; turn signals flash fast. intermittently or permanently, a bulb out check control message is displayed, together with the turn signal flashing fast. updated on 11/8/2013. N63t ccm low oil level not displayed: drivetrain malfunction warning is illuminated, and dme fault code 1c4002 (engine oil level: too low) is stored. customer complains that check control message (Òlow oil levelÓ) has never been displayed. BMW: cruise control is operating at 40 miles per hour, when high voltage battery discharges, due to possibly installed incorrect or non approved size tires and wheels on vehicle. BMW: the cable for the outside door handle on both front doors may not be watertight. water and/or dirt may enter the cable and make the handle difficult to move. BMW: when outside temp is below freezing the outside doors will not close or are difficult to open. a door cable has moisture intrusion and freezes.